Our open day this year will be on the 11th May from 9:30am to 2pm. There will be boat displays, taster sails, on water demonstrations, sailability and RIB rides for charity. We will be raising money for the Stroke Association. Everyone welcome, buoyancy aids provided. 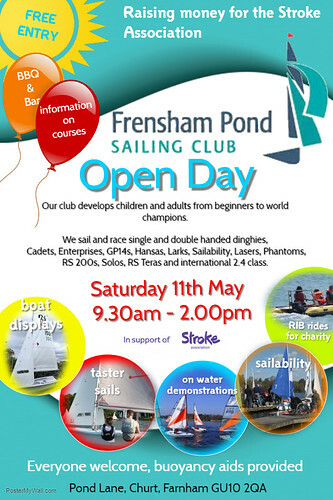 Arrangements are now well advanced for our Open Day at Frensham Pond Sailing Club.